It’s the middle of July. Are your kids bouncing off the walls yet? Then it’s time to play a game! This post is the first in a three-part series on games we like to play at IMACS. Part One of the series will focus on logic games, while Parts Two and Three will cover visual-spatial games and strategy games, respectively. At IMACS we search for games that embody ideas that support successful learning: logical reasoning, focused thought, and fun! In addition, we try to recommend games that provide a good value for parents by being reasonably-priced, made with quality craftsmanship, and fun for all ages. 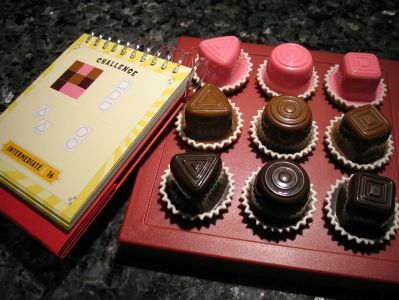 Game Essentials: Nine chocolate treats must be arranged in a 3×3 tray based on clues about their shape and color. Each chocolate is a circle, square, or triangle and exactly one of three colors. The current version of the game uses green, white, and brown, while the previous version used light brown, dark brown, and pink. Each puzzle has a set of clues that give incomplete information about the shape, color and relative location of some chocolates. Using the rules of mathematical logic, a single player determines the unique location on the tray of each of the nine chocolates. While Chocolate Fix is designed to be a solitaire game, parents and kids can play together by taking turns with the puzzles or with the clues of a single puzzle. If you like sudoku, then you’ll probably like Chocolate Fix. Recommended Age: The manufacturer’s suggested age range is from 8 years old to adult, but we feel that talented kindergarteners and first-graders can handle the beginner-level challenges and possibly higher levels. Brain Play-to-Price Ratio: The official list price for Chocolate Fix is $19.99, but it can commonly be found for about $15, which puts it in the range of a middle-of-the-road Barbie or Transformer. We think this is a bargain for a thinking game that, according to our IMACS students, is tons of fun. As with most ThinkFun games, Chocolate Fix comes with 40 challenging puzzles across four levels of difficulty. This allows the game to remain relevant as a player grows in age and skill. And unless you have a photographic memory, you can enjoy the same puzzles again and again after setting the game aside for a while. But the longevity of a game also depends on the quality of the craftsmanship. You might envision your child playing with it from age 5 to age 15, but will it hold up over a decade of use and abuse? Here we salute ThinkFun for manufacturing games with quality that appears to last. Plus they have a reasonable replacement policy; you can purchase up to five pieces with the first one costing $2.50 and each additional piece costing $0.50. Multipurpose: With little ones, you can count the chocolates and use them to demonstrate the concepts of same and different. The realistic-looking treats also make for great pretend play. Use them to play Candy Store with your children and practice skills like addition and subtraction. Assign prices to the chocolates and then compute the total amount owed for each purchase and change due. Easier Adaptation: ThinkFun also makes a similar game called Clever Castle aimed at 5-7 year olds. In this version, princesses, knights, and dragons that are either red, yellow, or blue have been invited to Clever Castle by the king and queen. A player uses clues to help the guests find their rooms. Clever Castle also comes with 40 puzzles across four levels of difficulty, but the higher levels in Clever Castle correspond to the lower levels in Chocolate Fix. Noteworthy: The newest version of the Chocolate Fix includes shape and color placeholders to help a player remember one of the characteristics of a chocolate that belongs in a certain spot until the player can determine the other characteristic. To the extent that the placeholders help a beginner not give up too soon, we support their use. But once a player gets the hang of the game, we encourage setting the placeholders aside so that building up one’s memory and concentration skills can also be a benefit of playing the game. Game Essentials: We’re big fans of sudoku, and ColorKu is simply sudoku played with colors instead of numbers. 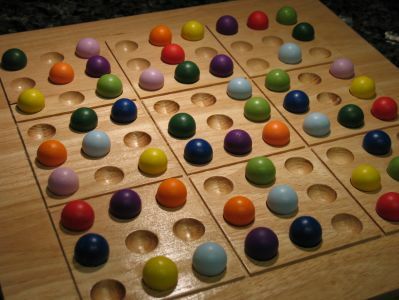 The game comes with a 9×9 board and 81 colored wooden balls – nine colors and nine balls of each color. The fundamental rules are the same as number-based sudoku: From a given starting configuration, a player uses logical reasoning to determine the correct position on the grid of each of the remaining colored balls so that no row, no column, and no predefined 3×3 sub-square contains any duplicate colors. As with Chocolate Fix, this typically solitaire game can be played cooperatively among two or more players. Recommended Age: The manufacturer’s suggested age range is from 8 years old to adult. Talented students of a younger age can handle this puzzle, but as the product warning suggests, children aged three and under should be kept away from this game due to the choking hazard presented by the little colored balls. Brain Play-to-Price Ratio: The official ColorKu Web site lists the game for $32.99, but you can find it at a slightly discounted price of $30. This is by no means cheap, but for the solid wood craftsmanship of both the board and colored balls, this is a reasonable price that puts it in the range of Nintendo DS games. ColorKu comes with 104 puzzles across five levels of difficulty so that players of different skill levels can play. You can purchase an expansion pack with 104 new puzzles for about $10. Better yet, use the included number-to-color mapping to expand your puzzle set for free by converting any number-based sudoku game that you get from a newspaper, on the Web, or from a smartphone app. If you lose some of the colored balls, replacements start at $4.25 for a set of two of every color and go up to $11.75 for a complete set of 81. Shipping and handling to US addresses runs from about $3.25 to $5.95. Multipurpose: What else can you do with 81 colorful balls and a grid? Your imagination is the limit. How about counting, bar charts, simple addition, subtraction, multiplication, and division. Play regular tic-tac-toe in one of the 3×3 squares. Improvise a game of Chinese checkers where each player must move his or her nine pieces from one of the outer 3×3 squares to the square on the opposite side of the board. Play marbles. Pretend to run a restaurant and serve “fruit salad” or “vegetable soup.” Challenge your child to name fruits and veggies of each color. If you run out of ideas, we’re certain your kids won’t. Easier Adaptation: Parents can give younger players a boost simply by filling in some of the empty spots in the starting position of a puzzle with the appropriate balls based on the solution provided. As a player improves, reduce the number of additional clues. 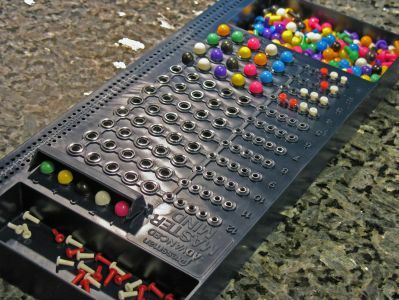 Noteworthy: Mad Cave Bird Games sells sets of 81 balls with just two colors for playing their adaptation of tic-tac-toe. This will set you back another $20, which, if compared to buying unfinished wood balls and painting them yourself, is actually a fair price. However, we recommend that you first look around the house for objects such as small LEGO bricks that are colorful, numerous, and can be used just as effectively to play the tic-tac-toe adaptation. Game Essentials: In this classic two-player game, the code-maker starts by creating a secret code using four pegs that can be any combination of six colors. The code-breaker then takes a series of guesses at the code sequence. With each guess, the code-maker gives the code-breaker feedback on (i) the number of pegs that are the correct color but not in the correct position and (ii) the number of pegs that are the correct color and also in the correct position. Note that under the standard rules, the code-maker does not provide any information as to which pegs in the code-breaker’s guess are either a correct color or a correct color and position. The code-breaker uses logic and reasoning with each new piece of information from the code-maker to improve upon the prior guesses with each successive guess. Recommended Age: The stated age range is from 8 years old to adult, but again, we think that bright, young kids can handle the challenge. Just be sure to heed the manufacturer’s warning and keep the tiny pegs away from children three and under. Brain Play-to-Price Ratio: The standard version of Mastermind lists for $15 on the Pressman Toys site but sells for around $13, which, in our opinion, is a tad high for what you get. The quality of the manufacturing seems to have dropped off since Mastermind was introduced in the 70’s, but we recommend it nonetheless because the game itself remains consistently fun and stimulating for talented minds of all ages. There’s a reason it’s been around for 40 years – it really is an excellent thinking game. Just don’t expect to be impressed by its looks or for the cheap plastic and flimsy box to hold up over time. An entire set of replacement pegs costs only about $5 including shipping and handling, which should tell you something. Multipurpose: Unfortunately, the quality of the pegs leaves us uninspired as to other uses. Easier Adaptation: Pressman Toys offers an easier version called Mastermind for Kids, but the differences amount to reducing the code length to three colors and replacing the simple pegs with cutesy animal-shaped pegs. We think it’s more cost-effective to just purchase the standard version and reduce the code length yourself. That way, when your kids outgrow the challenge of three-color codes, they can move up to four-color codes and still use the same game board. For another simplifying trick, reduce the set of colors from which the code-breaker chooses to just one more than the number of pegs in the code. While the standard rules allow the code-maker to include pegs of the same color in the code, this can easily lead to confusion. Creating codes with all different colors eliminates this difficulty without making the game less fun. Finally, you can modify the rules so that feedback on the accuracy of peg color and location is peg-specific. This last suggestion works best with the advanced version of the game described below. In that version, the feedback indicators and the code pegs are both arranged in straight lines of five making it easy to match them up, whereas in the standard version, one is arranged in a square while the other is in a line. Well, boys and girls, that’s all for this week. If you have a favorite logic game that didn’t make our list, please tell us about it. Then go play! 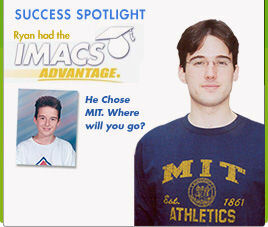 Take your logical reasoning skills to the next level with IMACS. 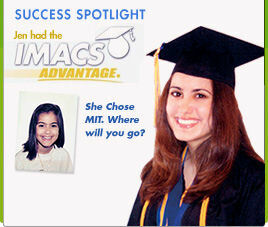 Sign up for our free aptitude test. 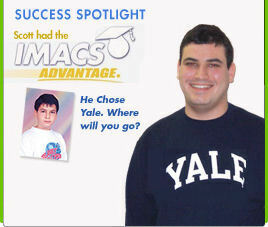 Enter our weekly IMACS logic puzzle contest on Facebook. What a fantastic list you’ve compiled – sure to keep “summer brains” from getting soft in these hot months ahead! Just added ColorKu to my Christmas wishlist (I already have Chocolate Fix)….if I can wait that long. Thanks for the review. We’re glad to hear your enthusiasm for these games. 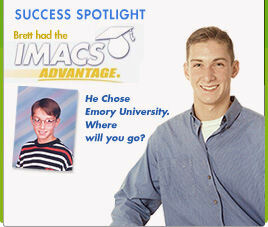 They are 100% kid-approved for fun learning by our IMACS students.